The property comprises of a double-fronted ground floor shop premises with full headheight Basement area, which could be utilised for either additional retail, office, or, ancillary storage space. The premises are located in Guildford Town Centre within easy walking distance of the High Street where all of the multi-national retailers can be found. Guildford is a bustling Town with a wide selection of retailers, restaurants, cafes and bars and the property benefits from being located approximately 15 minutes' walk away from the Guildford Main Line Station. London can be reached in 40 minutes by rail and there is an excellent road network to both the A3 and M25 (J10), some 7 miles distant. 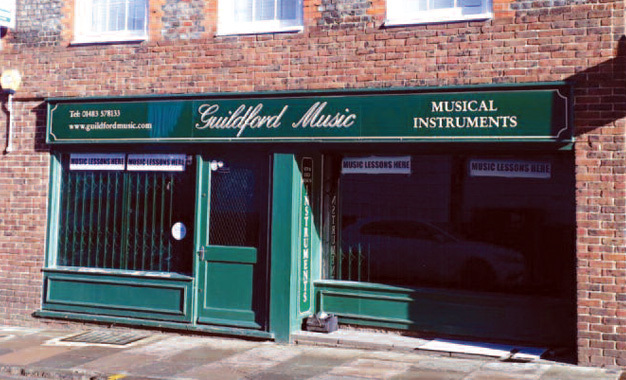 28-30 Chertsey Street, Guildford. GU1 4HD.